" Health and Life " magazine has received an invitation from (Medics Index) A Company in the Field Of Telecommunication in addition a particular interest in The Medical Field its head offices. The magazine's Administrative manager Mr.Taayseer Subhi has met with Mr.Shaheen the Company's legal & Marketing Consultant with whom he discussed the nature of the services Rendered by the company. An Agreement was reached for subscription on behalf of" Health And Life" so it would be made available on the Internet. The Administrative Manager has Pinpointed the services rendered by The Middle East Health Network, specifically the Medical Directory of All Arab Medics Practicing within the Arab World in the fields of medicine and how could benefit of which would reflect on Arab World and the whole World alike. While we are on the threshold of the twenty -first century, we stand in dire need for The multiple services rendered by the Company. Such services include Linking doctors with services of computerized data and information. Moreover Availing information and data belonging to medics on the World Wide Web in alliance with all Search Engines. Access to all Medics Globally could be attained regardless of their domicile or locality. Thus a doctor can obtain a unique presence on the Medics Index , which includes a large Database of Publications and data you may wish to edit about yourself, in addition to the Medic's photograph, an audio Message, electronic mail, a visitors chat screen, and more. For users of the Medicsindex who wishes to know specialist doctors can visit the site, however. Such technologically daring services will enhance and empower all Medics (members) with the chance to reach to patients, and without the need to consult a make it possible to reputise locally, Arabwise and internationally against symbolic fees payable once for Indexing or Fahraseh in Arabic. "Health and Life" will assume a prominent and effective role this wise. Electronic Classification for medical and health education media means. As sorting out The contents of these means and their introduction is underway along with attracting subscribers and readers to such means in addition to introducing the achievements of the medical sector And available services, particularly those rendered by Arab medical centers, hospitals and clinics. Following up the developments in the medical field .As developed link service would be available in order to benefit from the available telecommunications infrastructure. You would be able to get the medical and health news and information and data without the need for costly and sophisticated equipment to attain this goal. It is only sufficient that you possess a typewriter, a fax Machine or a TV Screen to in receive the informative transmission made available directly by the MedicsIndex . Dealing with the information here would be carried out with unprecedented and thus far unknown methods. Your language might be Arabic and /or English. The user could contact the first Arab Electronic directory or the Electronic mail, the Guest book record, the paging system or the Telephone.  So far there is no Arab Electronic Directory save Medics Index. In conclusion, we have to avail moral and financial support to ensure success of the first electronic doctor's directory in the Middle East. This directory will enhance communication and interaction among us as well as among individuals and international establishments. The Electronic Directory services are necessary and useful to doctors of all specializations and expertise. It is useful also to medicine students at their faculties. Finally," Health and Life" would like to announce that it would locate its site in this electronic directory as of its next issue. You can follow up our magazine and subscribe to it through our electronic site.